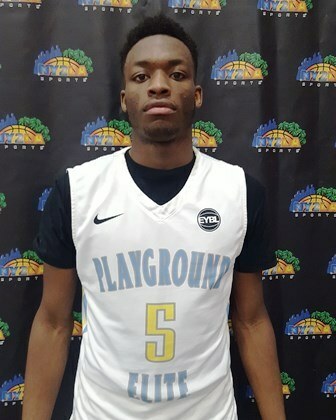 A long wiry wing with athleticism and skill, Ademokoya was one of the most impressive young prospects in the gym on Saturday as he drips with potential and he’s just scratching the surface. He can score inside and outside and makes it look easy at times doing so. One to keep tabs on moving forward. Arguably the top performer of the day, Beverly was outstanding. He showed athleticism and skill and deliver excellent performances game in and game out. A legitimate Division 1 prospect with a nice ceiling, Beverly can take over the game in a variety of ways and his effort on Saturday was one of the best in Futures Camp history. An excellent young talent who is just scratching the surface. 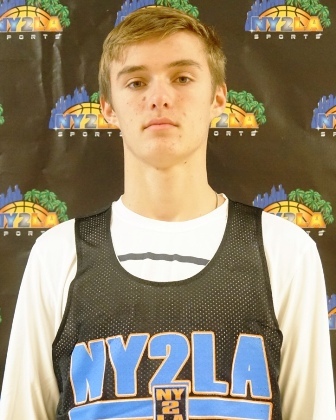 A skilled forward who can face up and knock down the jumper at the mid-range level and beyond the arc, Brandt showed improved agility and athleticism on Saturday and that combined with solid skill to impress. One of the true sleepers in the 2018 class for the state of Wisconsin and regionally, Brandt filled the box score and put the ball in the basket at each level in impressive fashion Saturday. One of the leaders in virtually every combine category, Carton was exceptional during game play as well as he distributed, defended, and scored game in and game out. He can fill the box score with his skill and versatility and he’s a matchup problem for opposing guards because of his scoring and breakdown ability. Expect mid and high major Division 1 programs to start to look closely at him moving forward because he’s legit on all levels and he’s only getting better. Arguably the top pure point guard in terms of his ability to distribute the ball, Cison has game…it’s that simple. He can rip the nets off the bounce at the mid-range level and beyond the arc, he can finish in traffic, and he has exceptional timing and feel on his passes making it easy for teammates to catch and score in any situation. A true basketball player in the purest sense of the word, Cison has legitimate Division 1 leadership and skill. An aggressive attack first lead guard, Campbell can set the tone early with his parade to the rim and generally the free throw line as he has a knack for generating contact as well. He can score at each level, he can break down opposing guards, and his quickness combined with his instincts and athleticism make for a difficult cover for opposing guards. 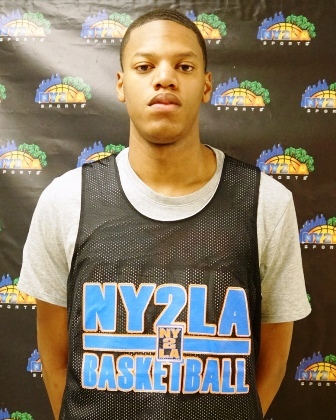 He continues to look the part of the high major lead guard he’s regarded by many to be. An excellent effort on Saturday. Schools need to stop sleeping on Curtis as this young fella has game and he keeps getting better. He captured camp MVP honors for the Class of 2018 while shining in combine testing and game play. He served as the alpha most of the day and set the tone for the game right off the bat by bringing effort and excellence in his performances. He can fill the box score, is an excellent athlete, he has bounce, he can defend, and offensively he can score at each level. Far from a finished product, Curtis’s best years lie ahead and schools at the mid and high major levels should be tracking and getting involved now as he seems primed to really take off in the next 12 months. A highly regarded sophomore with size, length, instincts, and feel, Days impressed on Saturday with his added strength and improved skill set. Already dominant at times on the defensive end when active and engaged, Days collected rebounds and altered shots like usual. Offensively though he showed an improved ability to face up and knock down the mid-range jumper and score around the basket using either hand. He’s getting stronger and continuing to develop, which is critical in that some young prodigies fall in love with the hype too much. Days is grounded and humble and his character and leadership shines on the hardwood both when he’s performing well and when he’s not. His performance and improvement on Saturday was nice to see. Easily the top sleeper in the camp that no one knew about, Farrell was exceptional and he immediately jumps to the front of the line with the other top 2020 prospects in the state of Wisconsin. This young man can really play and he does so in smooth and effortless fashion. He can score at the rim off the bounce, at the mid-range level, and beyond the arc and his feel extends to distributing the ball and just making plays. Really like this young prospect in terms of what I saw on Saturday as Farrell was exceptional and he looked the part of a strong prospect on the rise. The Wisconsin bound sharpshooter brought his calling card on Saturday as he ripped the nets at the mid-range level off the bounce and he knocked down trey balls as well. Was impressed with his improved on the ball defensive skills as he showed an ability to move his feet and accept the challenge of defending more. Offensively he’s one of the top pure shooters in the country and combined with his size and potential it’s easy to see why he was a top priority for Wisconsin. While Herro may have been the top priority in the 2018 class for Wisconsin my guess is that Jalen Johnson could easily be at the top of that list in 2020 for the Badgers. On Saturday Johnson rebounded from a sluggish August Generation Next Camp to deliver a Class of 2020 Co-MVP performance at the Futures Camp. The last one to do just that was who…you guessed it…Tyler Herro. In the same fashion that Herro made huge strides in the 60 plus days during the fall of 2014, Johnson did much of the same this year. He was exceptional in terms of his aggressiveness, his activity, and his desire on both ends. 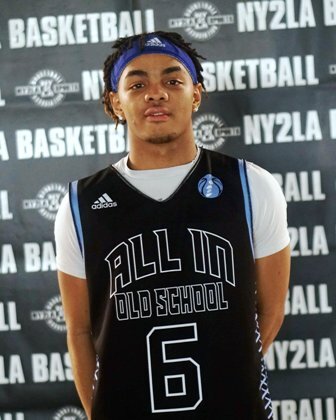 He attacked in half court sets and showed and ability to score at each level while also getting out in transition and finishing with authority a number of times. A 6-5 plus guard with a 7 foot wingspan, Johnson has a high ceiling and he’s just getting started. Sleep if you want but when it comes time and we say we told you so just remember we did. This young man is quietly becoming that guy on the court and Saturday was another step in his progression. 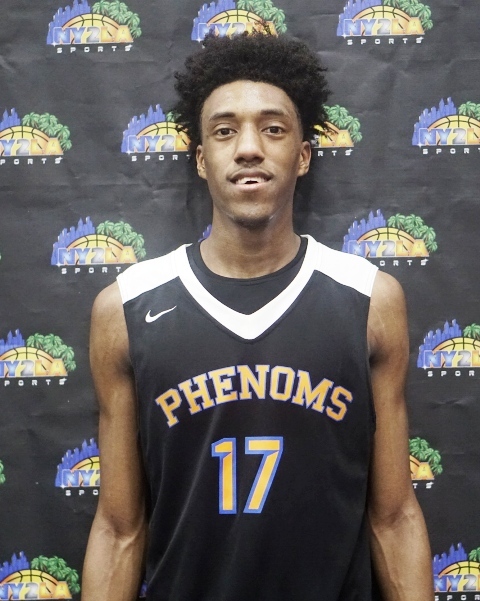 Up to 6-5 and still growing with a solid wingspan, Jones showed bounce with an excellent approach vertical during the combine testing and he followed that up with stellar efforts on the hardwood. He put that bounce to work with a number of highlight reel dunks with both hands, the right hand, and the left hand but his smooth ability to rip the nets with an improved jumper at the mid-range level and beyond the arc was even more impressive. 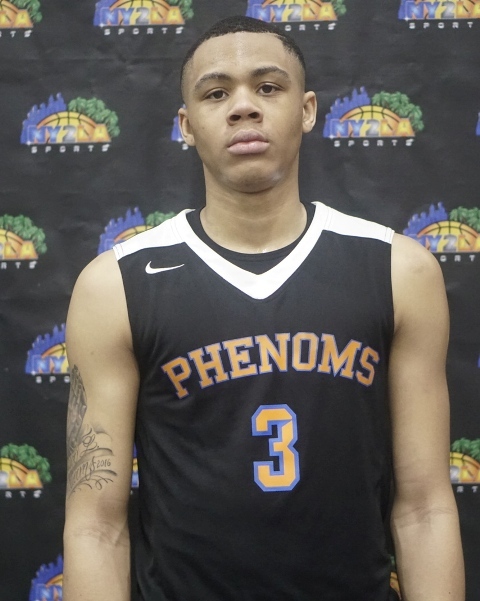 Jones is legit and schools at the mid and high major level should be closely tracking him as he’s still growing and his game continues to take steps forward with each passing month. 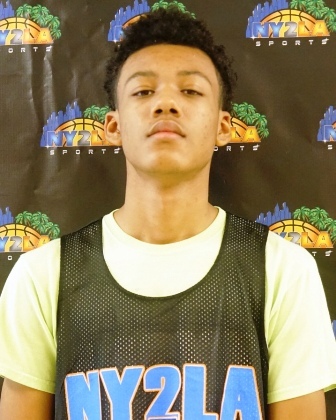 Another of the pure sleepers in the camp that really shined, scouts and staff raved about his efforts all day as Moore showed quickness, instincts, athleticism, and skill. He created with ease, he showed solid defensive instincts, and offensively he finished at each level in a variety of ways. Still just scratching the surface and getting better, Moore was one of the most impressive prospects in the camp with consistently and he’s another one that should see lots of schools jumping on his trail moving forward. I really like certain things this young man brings to the table. 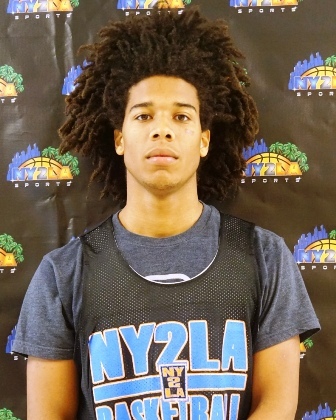 He has a plus length wiry frame and just a smooth game that delivers assists, steals, rebounds, and scoring in a variety of ways. 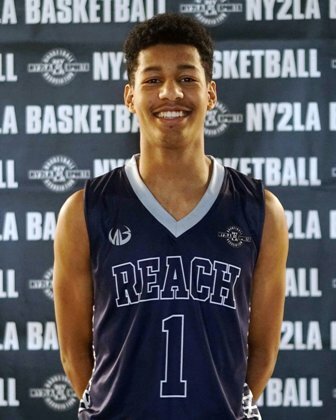 He can hit the trey ball, he has solid breakdown skills and the ability to finish in traffic or with floaters, and his jumper is solid at the mid-range level and beyond the arc. 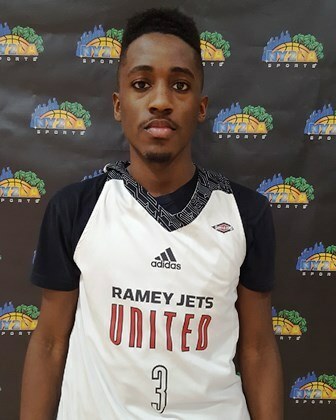 This young man can play and he could become a big story in the Chicago area over the next 12 months if he continues to progress and deliver. So many quality things to write about this young man but his character is what always stands out the most. On the court he has no problem carving up defenses for assists and baskets and he’s lethal in doing so. Off the court he’s as nice a young man as you could ever meet and that leadership he shows on and off the court make him a blue chip talent wherever he lands. He’s one of the best in the country in his class at his position and he’s a natural born winner. On Saturday he checked his ego and brought effort and leadership to the court throughout the day in impressive fashion. He’s legit…nothing more to say. Easily one of the top stories in the country for his class the past 12 months, Sibley has been on an exceptional run and a big reason is his approach to the game and his humble personality. Equipped with size, length, athleticism, skill, instincts, and an enormous upside, Sibley just keeps getting better and dominating. 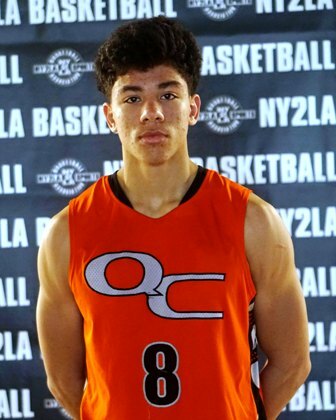 He captured Co-MVP honors in the 2020 class after another exceptional effort that saw him run the floor in transition, hit mid-range looks, collect and finish off the glass, and knock down jumpers. He’s only getting started and he’s already that good. Legit high major impact talent on the rise. 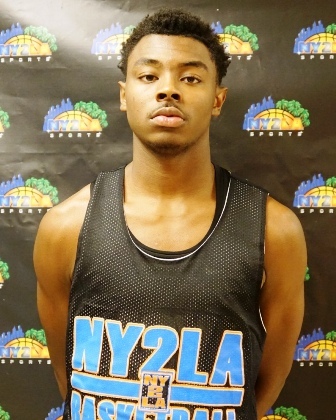 Was in serious discussion for Class of 2018 MVP honors after a blistering performance on Saturday where he showed bounce, skill, and instincts in dominant fashion. He plays hard and brings excellent energy to both ends. He was active defensively where he was solid on and off the ball and offensively he attacked the rim, dunked when the opportunity arose, hit mid-range looks, and ripped the nets from long range. 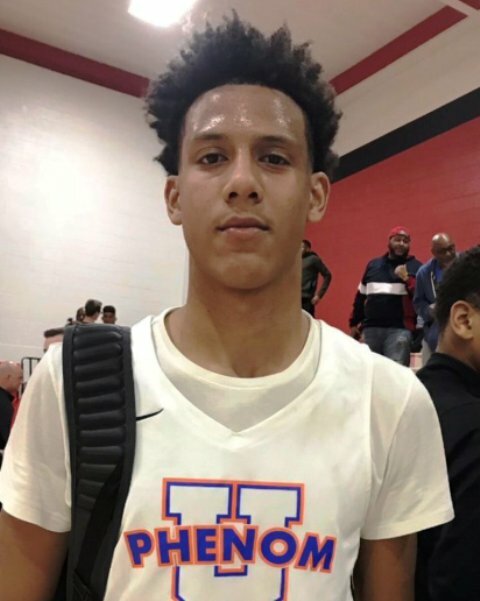 Expect mid and possible high major programs to start to take strong looks at Wakefield over the next 12 months as he brings skill and big time intangibles to the hardwood. An excellent day of work for him. 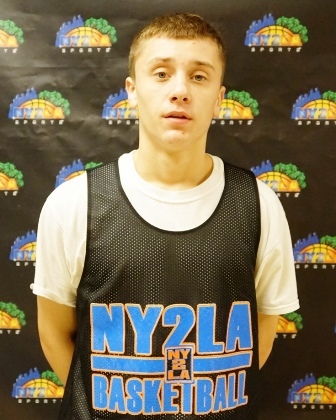 A skilled and talented young wing with excellent range, Wojcik moves well without the ball and his energy and enjoyment of the game is very evident. He can score beyond the arc, at the mid-range level, or finish in traffic off the bounce on occasion. He understands spacing, generally takes good shots, and he makes good decisions. 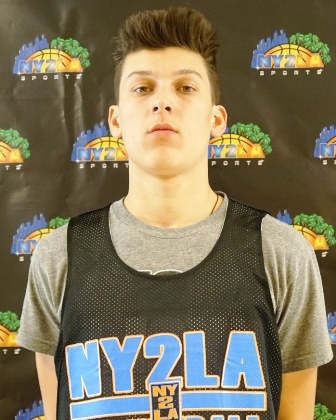 A perfect system fit at the high major level, Wojcik like many on here stands to see his recruitment continue to elevate as he gets stronger and better in the coming months. Really like what he brings to the table and his potential to help the right school at the next level. One of the most aggressive on the day, White was excellent throughout as he chopped up opposing guards and broke them down to create and score. He brought excellent energy on both ends and he was active and disruptive defensively, which he will have to be at the next level. Offensively he generally made solid decisions and then showed an ability to rip the nets with his jumper as well. An excellent overall day of work for the undersized floor leader from Illinois. An improving forward who can play both spots, Zhang was active and aggressive throughout the day. He struggled a bit early but then he found his rhythm and proceeded to knock down jumpers, score in the paint, and flush at the rim repeatedly. He has a 7 foot plus wingspan and a nice long frame that makes him a potential matchup problem for opposing forwards. 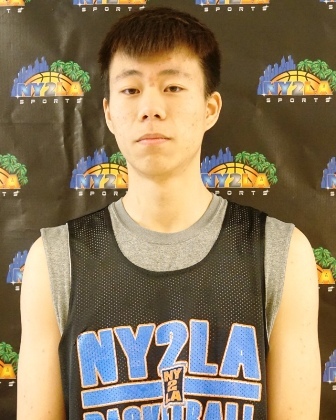 He’s very skilled, has bounce, and he continues to show an improved understanding of the game. He projects as a high major impact talent whose best basketball lies ahead as he really seems to just be scratching the surface.